Hey guys… remember me? I’ve been kind of sort of mentally switched off from my blog for a little while now. Although I have been posting here and there – I’m not sure if it has been as clear on the outside as it has been for me in the inside that my heart totally has not been in it. I had a good streak from around September last year where I was truly consistent – I’d post twice a week, on designated days, preparing all my posts on the weekend before hand, and if I was going to miss a post – I’d let you guys know ahead of time. If I missed one unexpectedly, I’d really feel bad and as if I was impeding my own progress. So… what went wrong? Work got busy… work has been hella busy. Not in the way that I’ve been working super late – but just such that that I have been working none stop. I mean, I sit down in the morning, and barely have the time to step away from the desk without worrying that I’m going to be missing out on an important e-mail. It’s been non-stop, partly because I’ve been working on very demanding projects, partly because I’m being given more and more responsibility now that I’ve been at the firm for longer, and partly because I’ve been getting requests now to also help out other teams on a more frequent basis. Work being so busy has meant I completely took my eye of the ball when it came to blogging and also social media, because my head was just not in the right place to be on my game. Suddenly I looked around, and wondered how I started to feel so disconnected from a world I once felt so plugged in to. …as did life! Sometimes, there’s actually nothing I want more than to spend a weekend doing absolutely NOTHING. Although having plans is great – when you really only have 2 days a week to yourself, it’s great to have the option to spend one of those days doing nothing else but sleeping and binge watching YouTube videos and TV shows. However, life has been super busy lately and my weekends have been booked up time after time. Whether it’s a brunch, a BBQ, a birthday, a shoot day or some sort of travelling – I just haven’t had the time I used to to spend the weekends focusing completely on my blog. This has meant in order for me to keep my two post a week steak up – I’ll have to come home after 12 hour work days and blog, and often I’m just way too tired to do that. So slowly, I’ve been falling off… missing posts, posting sporadically on random days, and not feeling the guilt I used to feel when I do this. I lost a lot of motivation… I feel like my happiness with my blog generally goes in waves. There are times when I feel super satisfied and also super proud, but then there are times where I feel like there’s just so much more I should be doing. Honestly, there are times where I feel like “this is just really not where I want to be”. Blogging isn’t easy, and that’s not only because a lot of work has to go into it, but it’s because we can really all be our own worst critics. With blogging – it’s completely yours. I’d definitely got into quite a known routine with blogging, and was wondering how I can stop running along a wheel, and stop things from stagnating – including my motivation. …and even considered signing out altogether. I’d say there’s been two times I’ve contemplated quitting blogging. 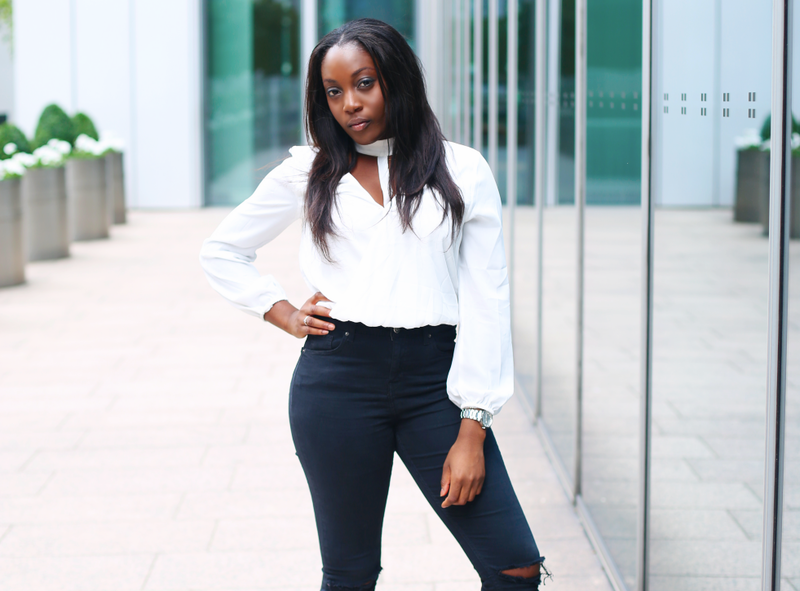 One was before I started university; although I had this beauty/fashion blog, it was really quite an on and off thing, and nothing I took very seriously until late 2015. I was 100% sure that I was going to let my domain expire when it was time to renew, and just move on. Mainly, this was because I wasn’t completely proud of my blog. I wasn’t sure if people at university would ‘get it’, so considered just getting rid of it all together. But around the time I was contemplating the decision – an e-mail from The Body Shop popped up in my inbox, and they said they wanted to sponsor me. It would become my first collaboration with a major brand name. After that, I realised that it didn’t make sense to turn away from something I loved, that was bringing in amazing opportunities, because I was ’embarrassed’. I can’t say the idea didn’t slip back into my mind again more recently. I do put a lot into my blog, so when I was feeling a bit more down, I did question whether it was worth it at all. However, the notion was quickly dismissed, because at the core of everything, I really do enjoy blogging. It’s just an escape/an outlet and a way to express myself on a platform that I have created. Could I really turn my back on that, just because I’m currently riding out a down period? No way. But I’m back! I’m back, and I’m motivated once again! I love blogging, and want to get back to the productivity levels that I was hitting just a while back. I’m changing my schedule – instead of blogging on Mondays and Thursdays, I’ll now be blogging on Saturdays and Wednesdays (but let’s ignore that this post is going up on a Sunday morning!) – having at least one of those days as a weekend makes it way more likely that I’ll actually hit this target going forward. I’m also tweaking my blog design, I’m planning to make a few minor changes to my blog design here and there – for example shifting my rotating header images, adding some new pages, and any other little tweaks that come to mind. After all – it’s always good to keep things fresh! I’m going to keep churning out high quality content, keep offering advice and style tips – and go back to focusing on what I aim to do, which is empower/inspire/motivation women! Have you ever come close to quitting something that you love? 11 Responses to "Why I Almost Quit Blogging…"
Glad you’re back and motivated! Blogging is not easy and sometimes I feel that my motivation occurs in waves as well but just hang in there. You are doing a great job so far! It’s good that you are motivated again. I had a blog a decade ago and then I quit blogging for six years. That’s a long time. My heart just wasn’t in it anymore. But a part of me always missed it, so I came back a month ago and I’m glad I did. There’s really nothing else quite like blogging.